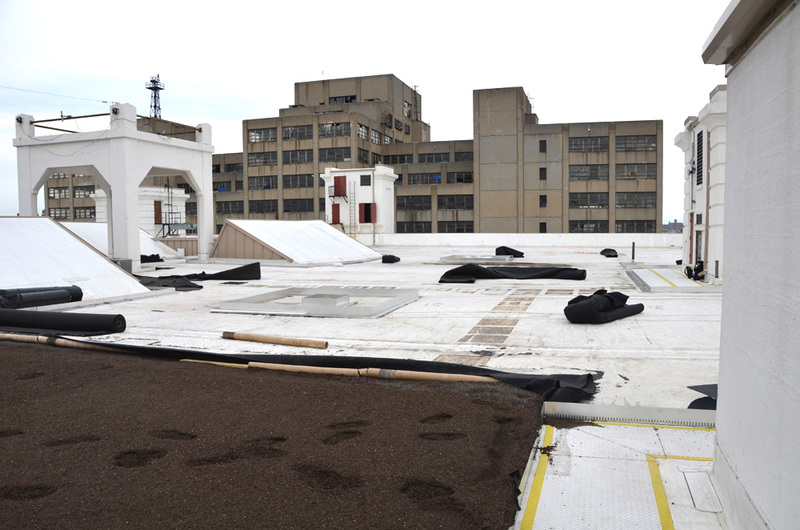 Downes Forest Products' unique eco-friendly roofing installation services allow specialized green roofing systems (aka: grass roof, living roof systems and eco roof) to be installed on top of suitable structures with ease. 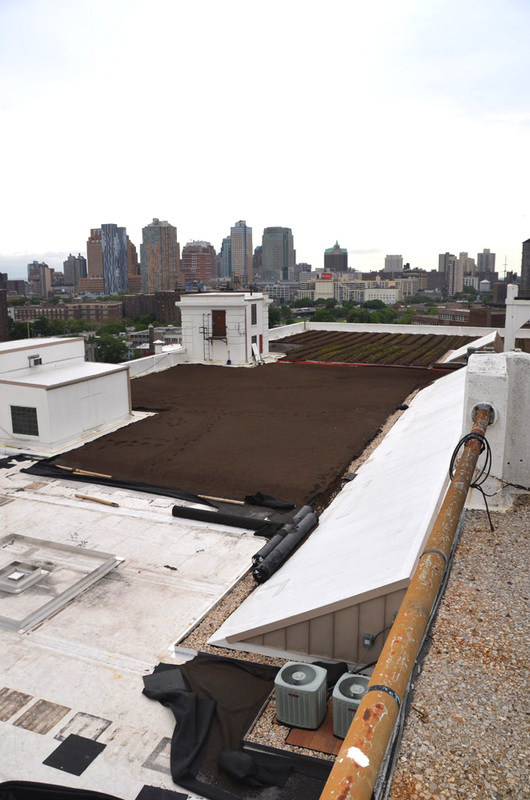 We are experienced living roof installers and can fully complete the green roof after the weatherproofing layer has been installed. 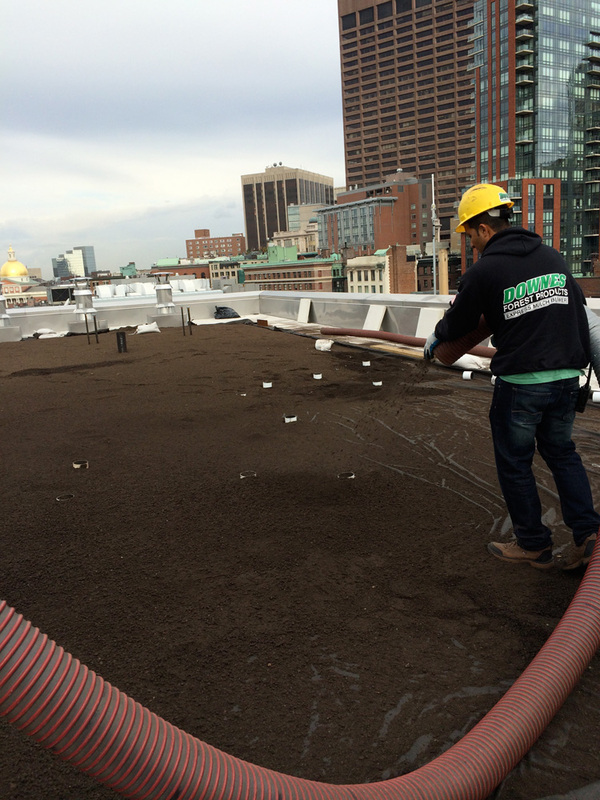 We work with industry leaders in the roofing and membrane systems to ensure that your green roof construction project goes smoothly and that the garden roof system matches your needs. 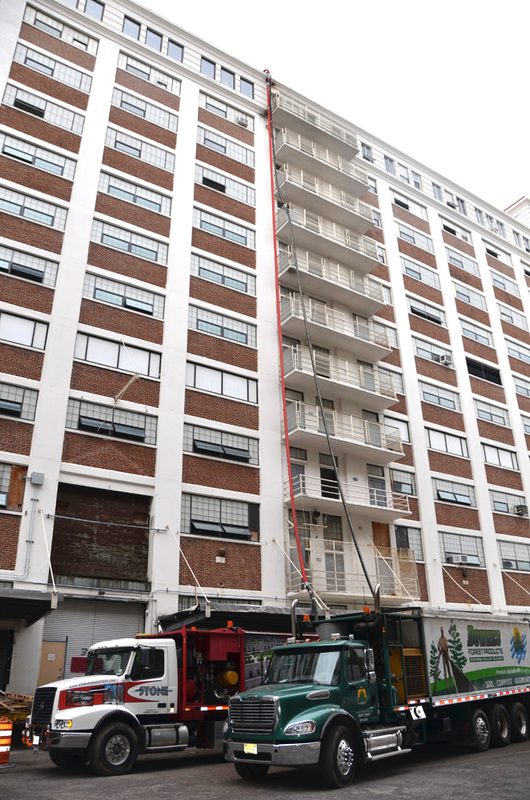 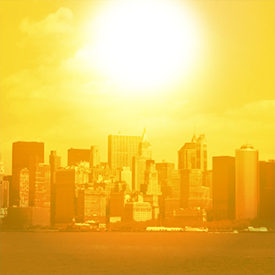 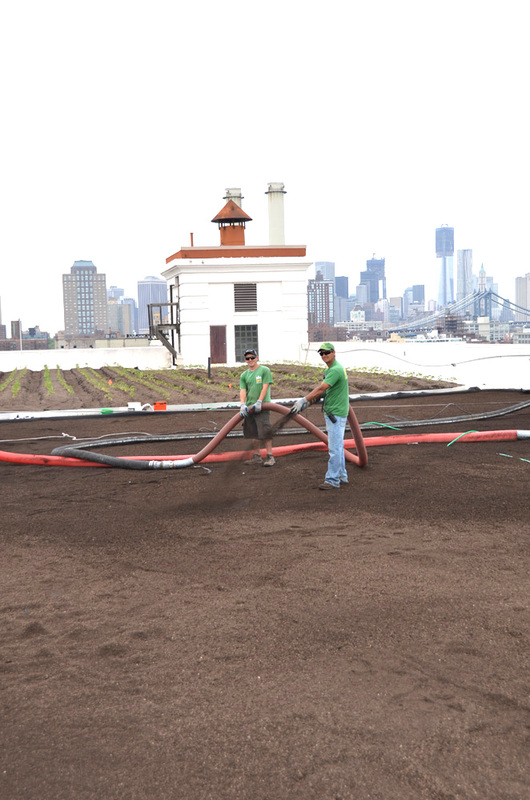 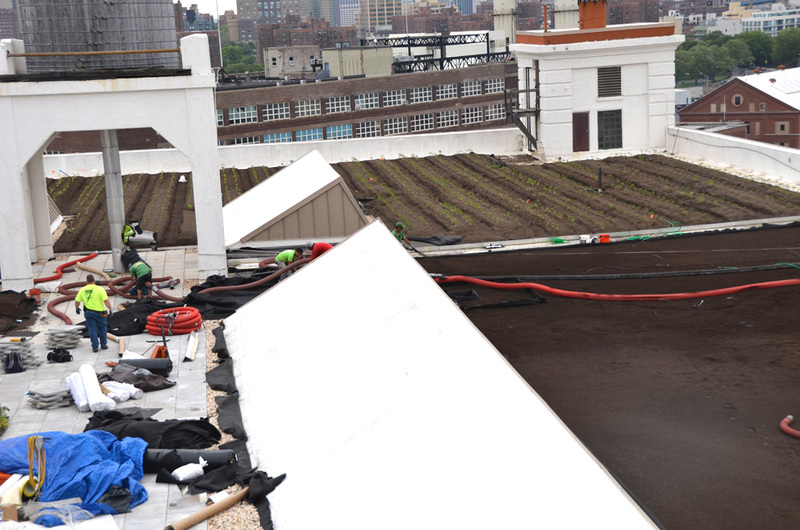 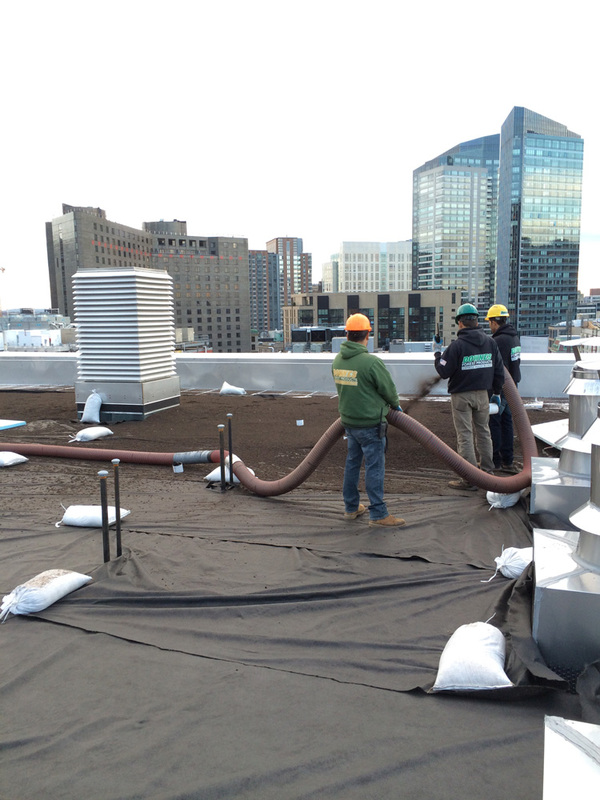 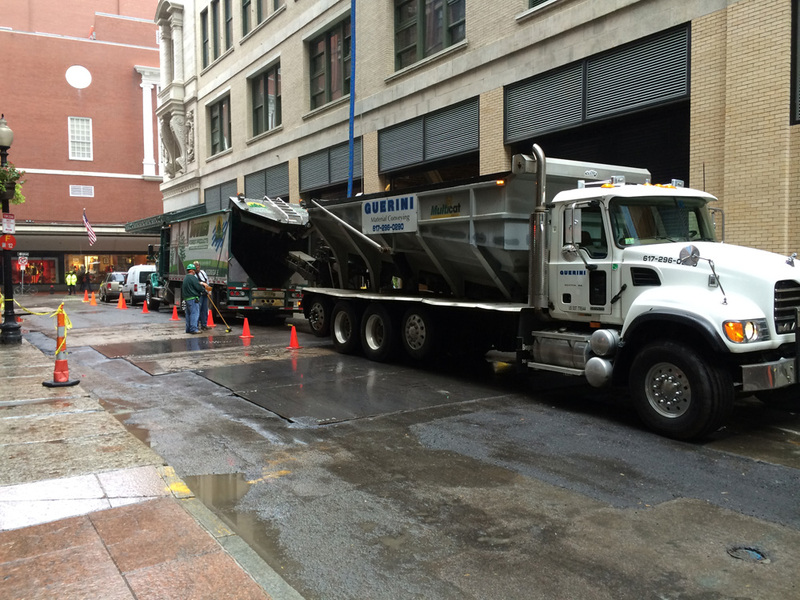 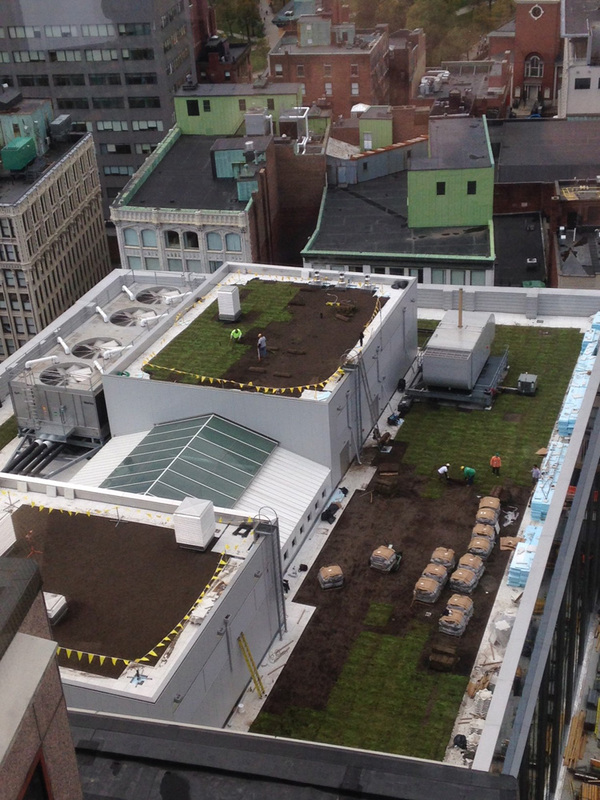 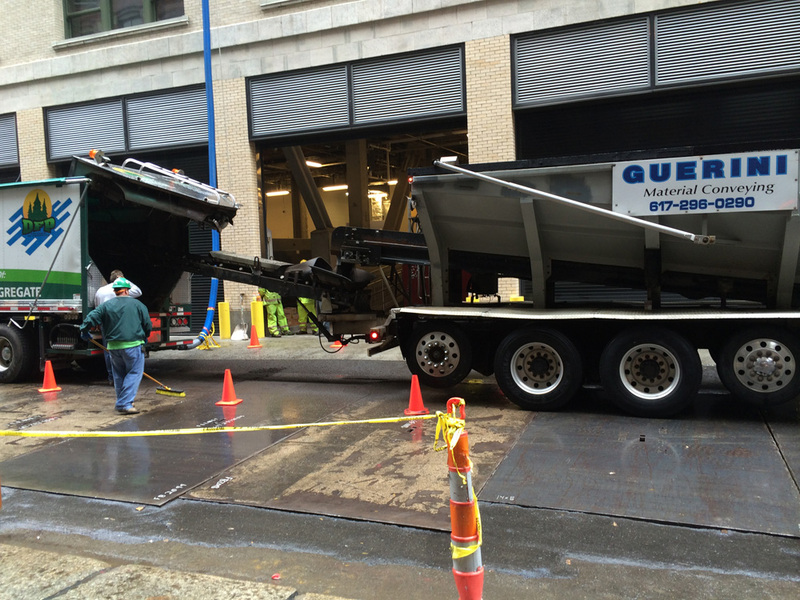 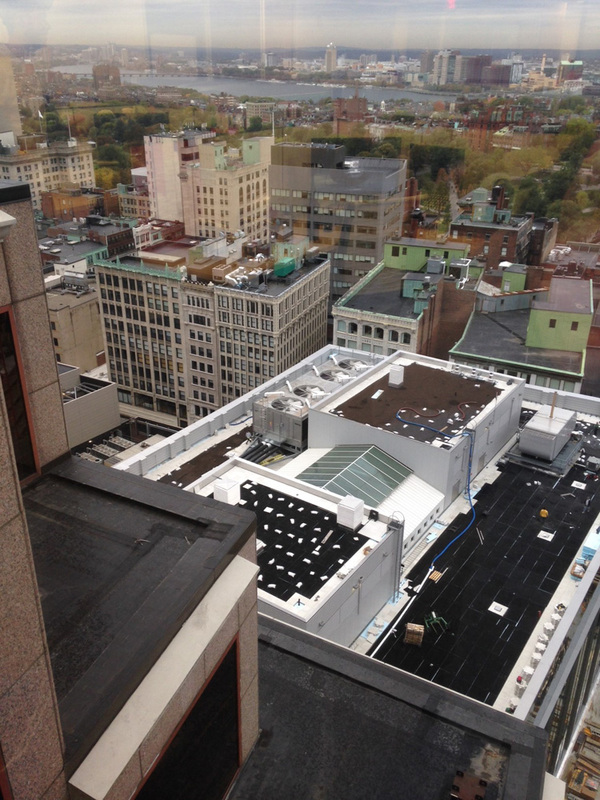 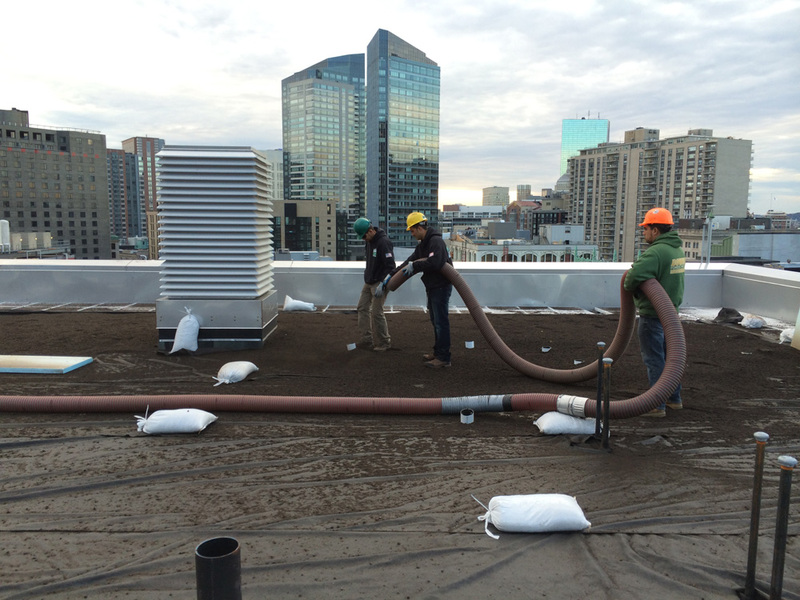 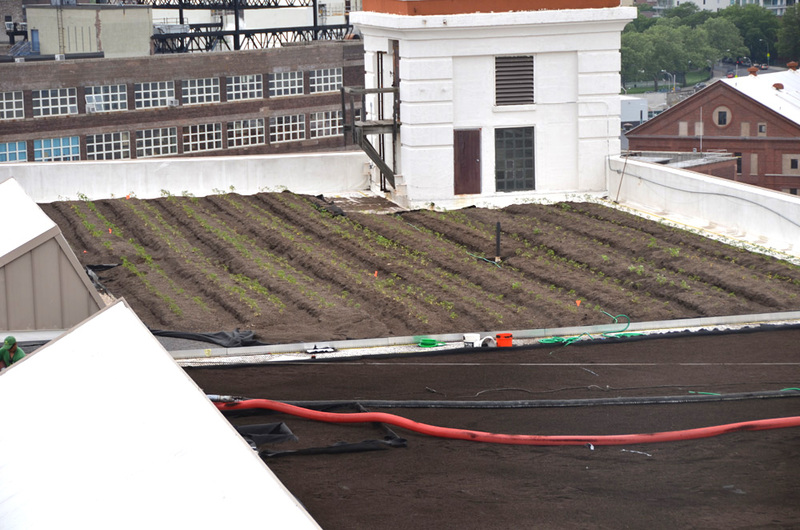 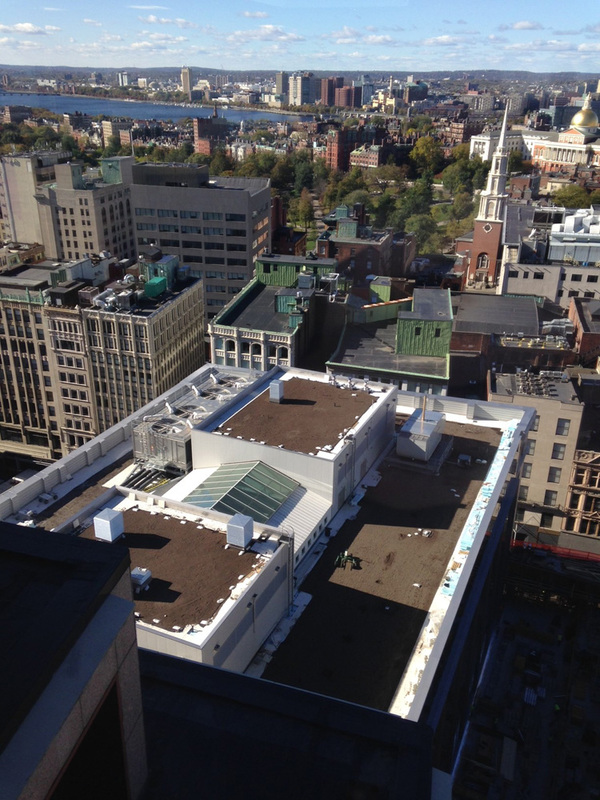 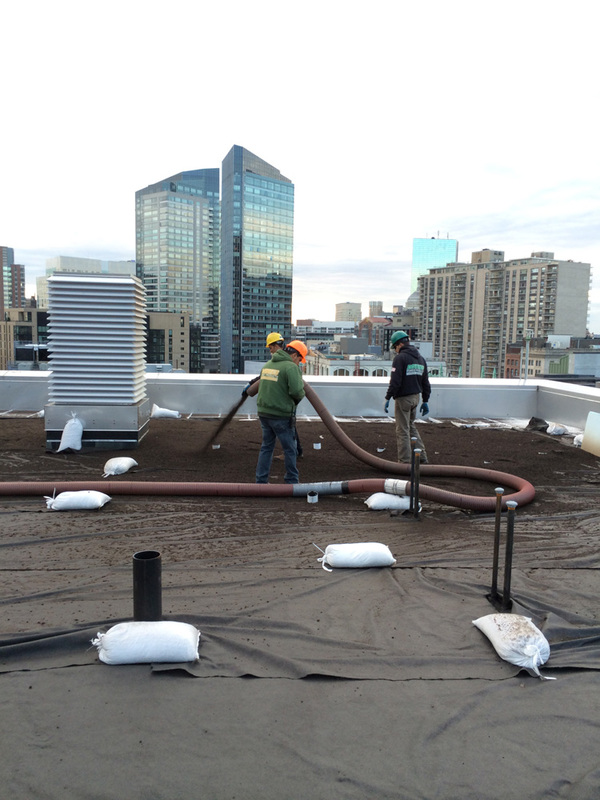 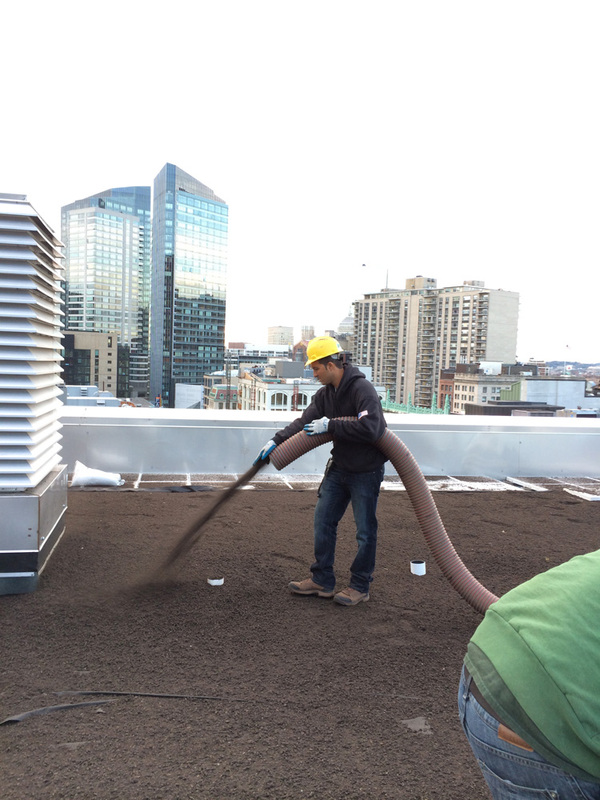 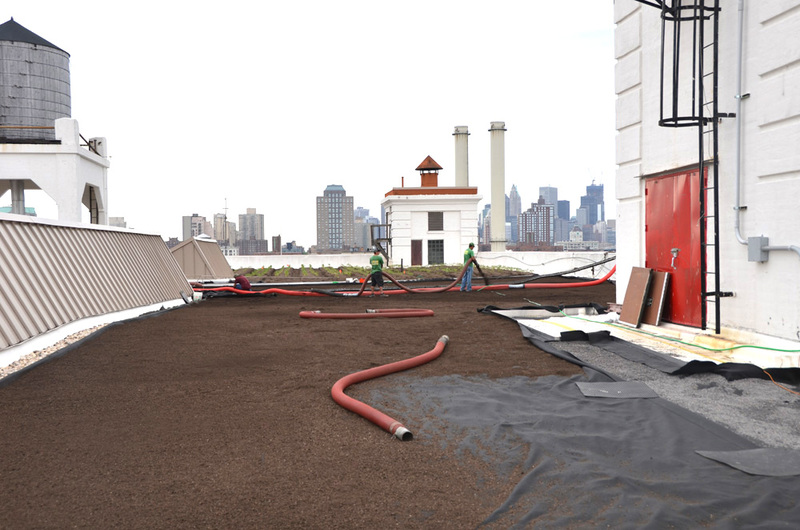 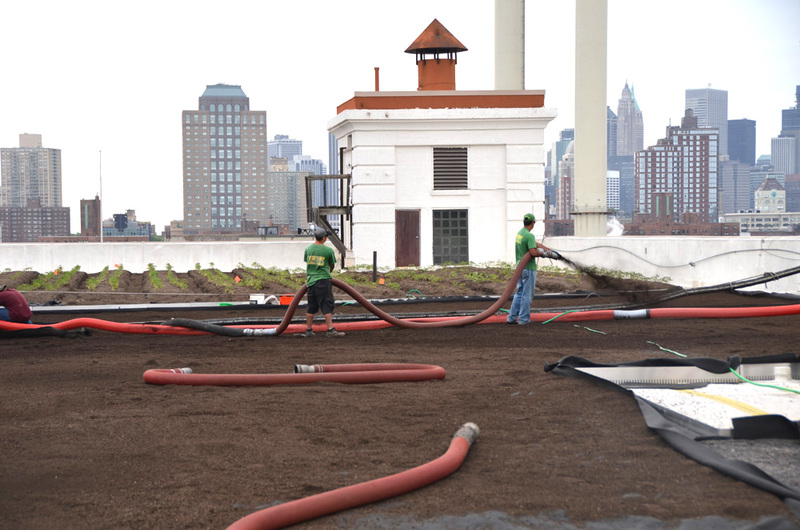 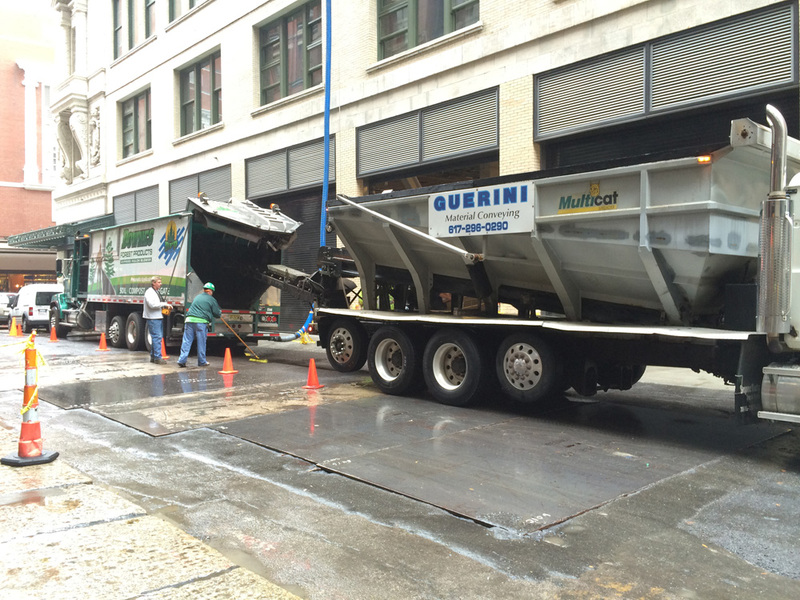 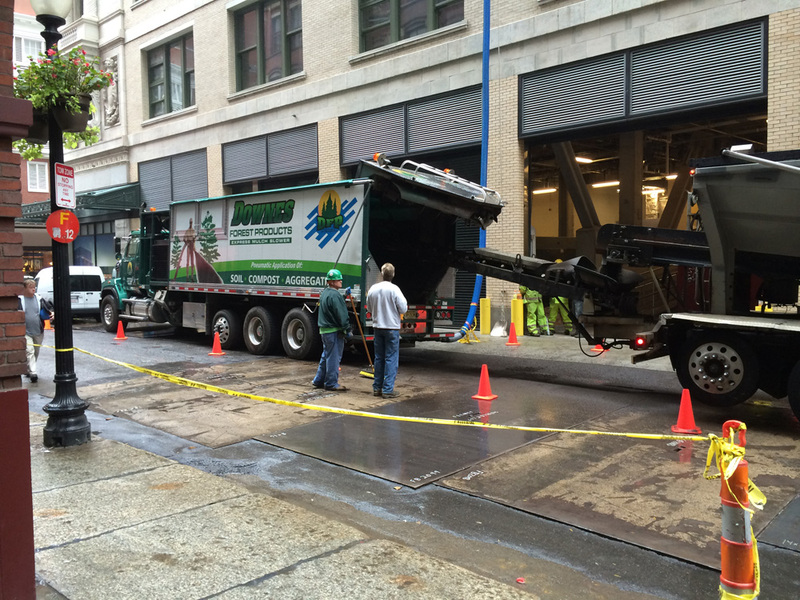 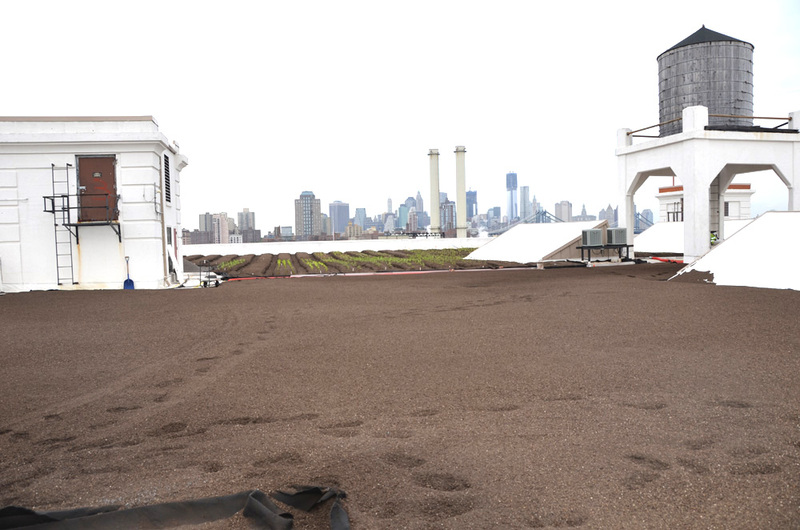 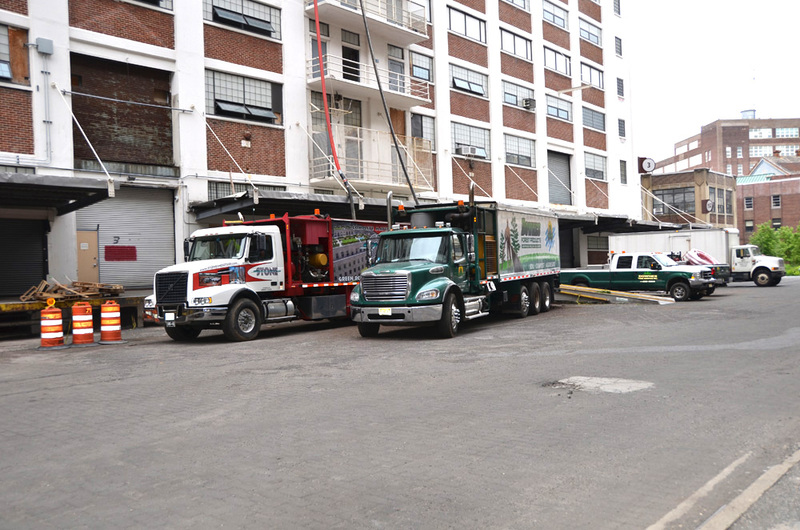 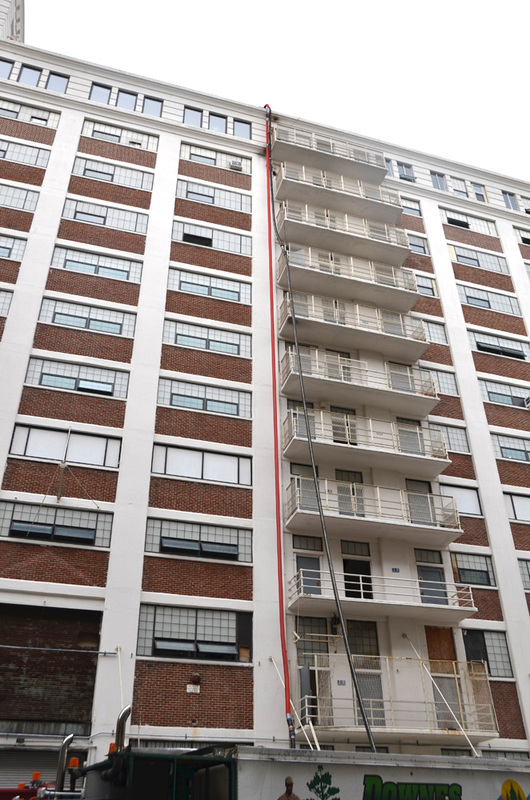 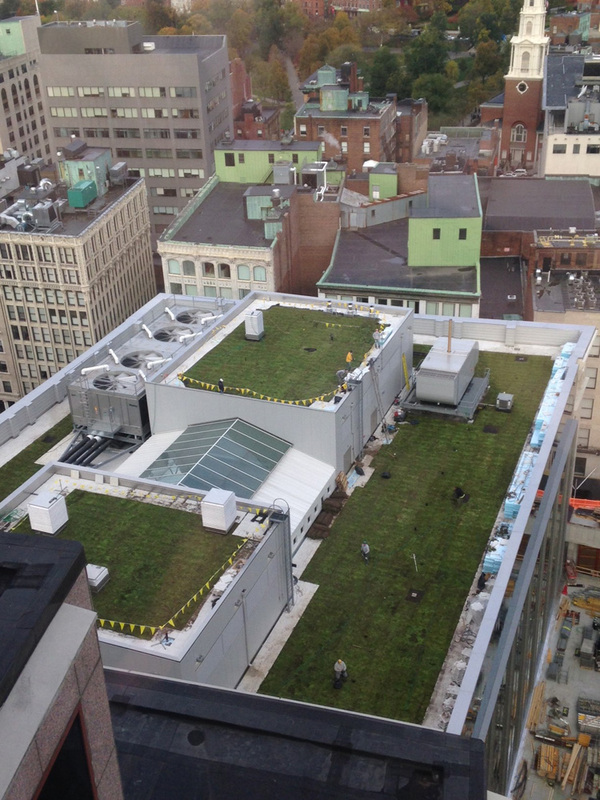 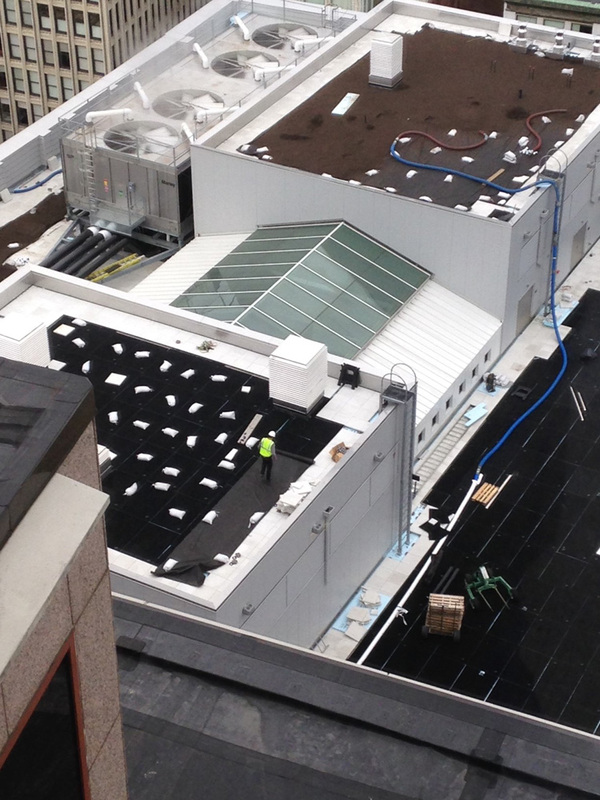 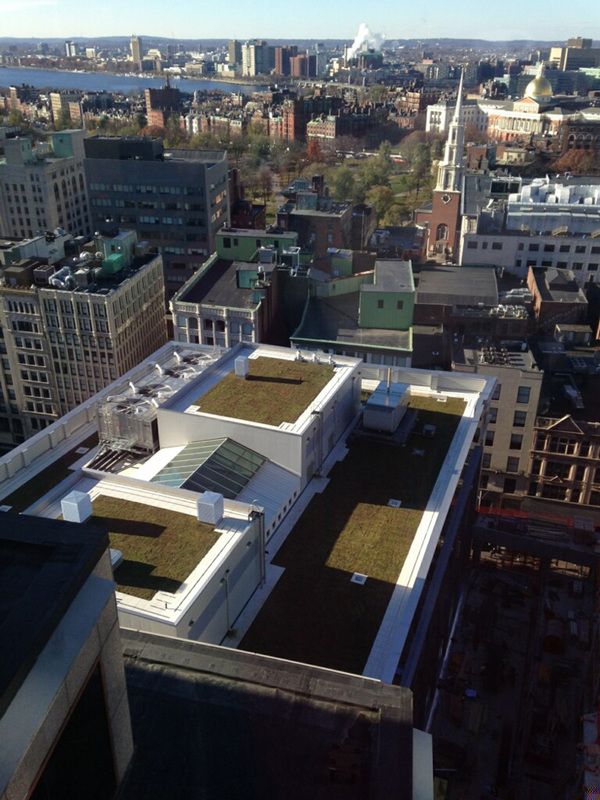 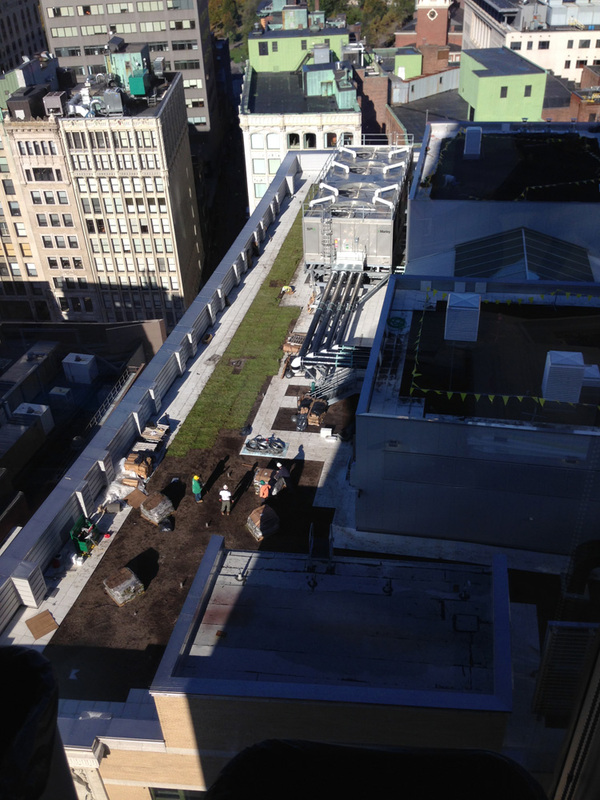 Downes' pneumatic installation will make your green roof media installation quicker and more cost-effective that manual installation due to the complex logistics and labor demands of high-rise and city work where many green rooftops installed. 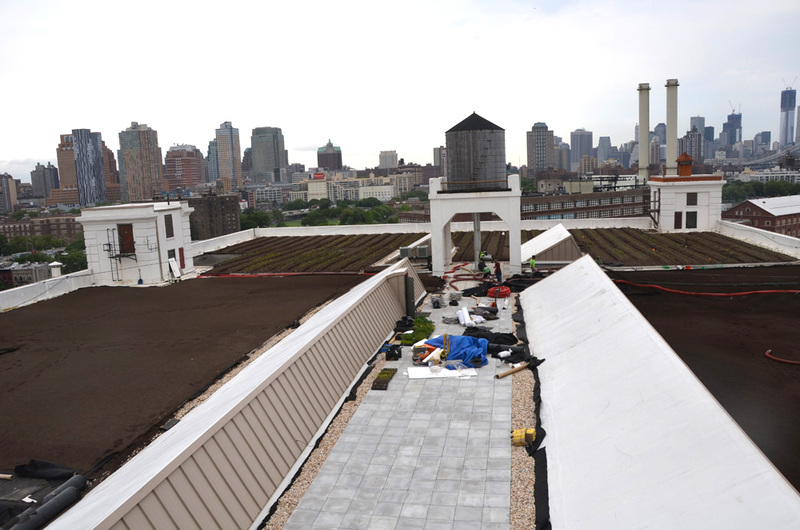 We can help turn your roof into a landscaped environment! 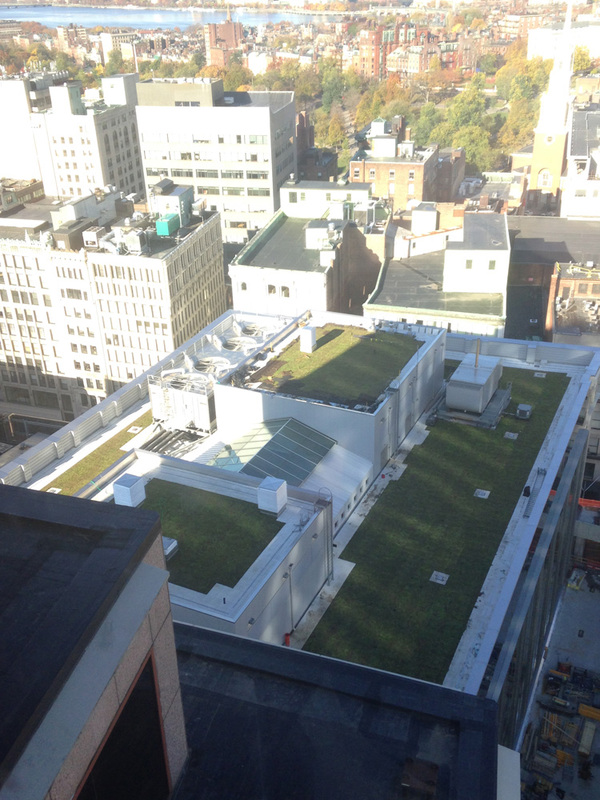 Green roofs have many benefits, including lowering your heating and air conditioning expenses, better storm water management, reduction of the urban heat island effect, and enhancement of the building's appearance. 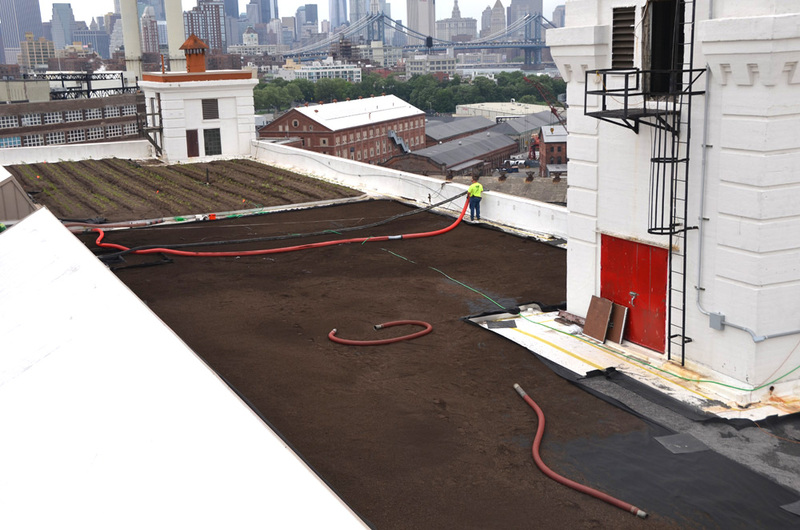 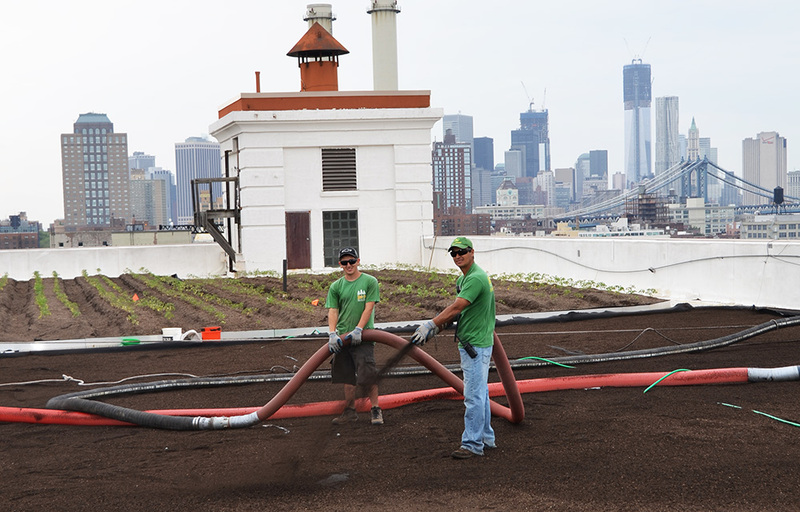 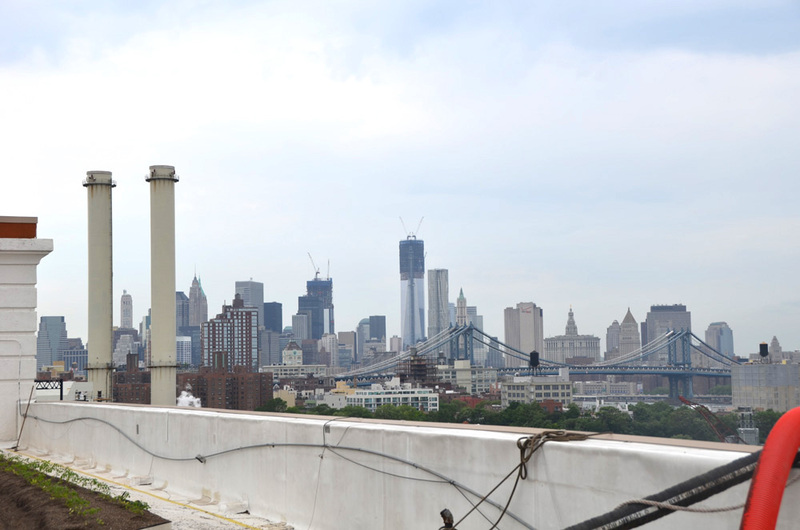 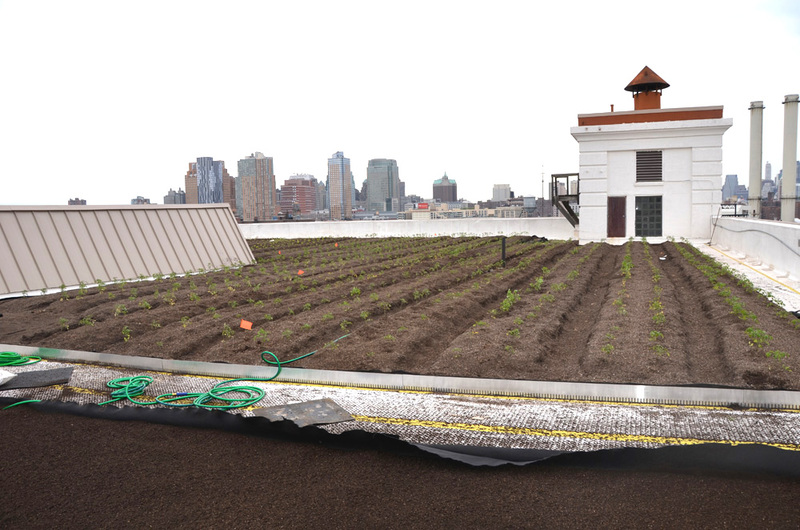 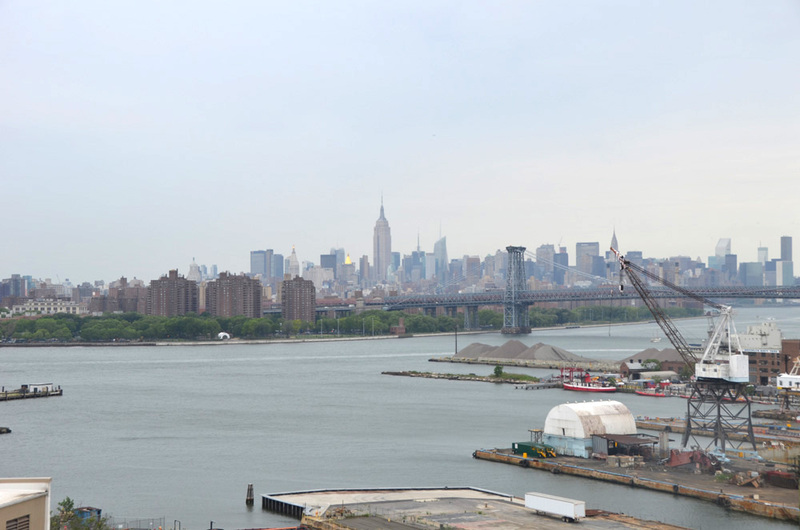 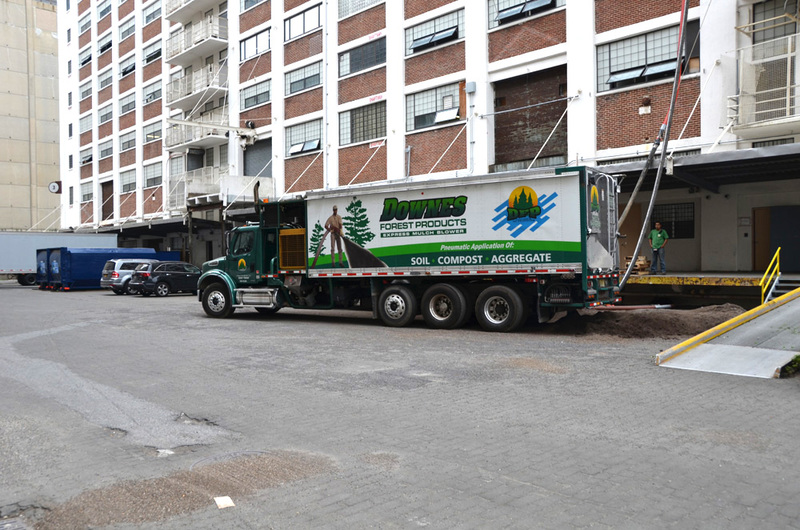 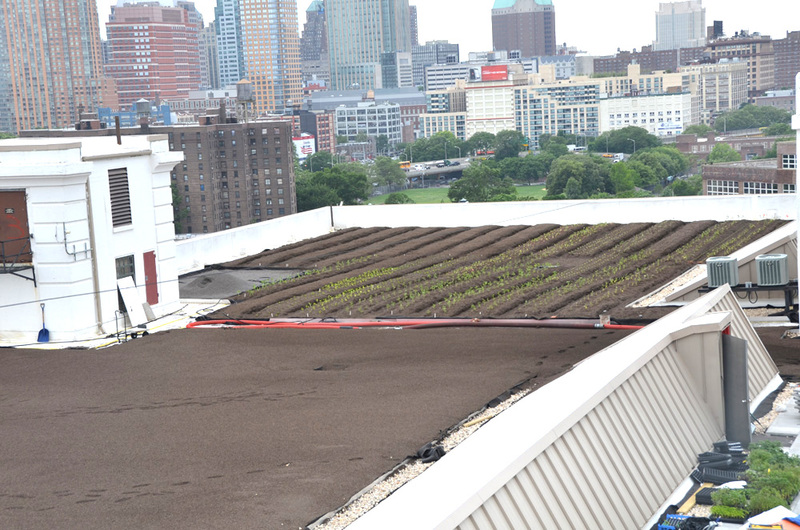 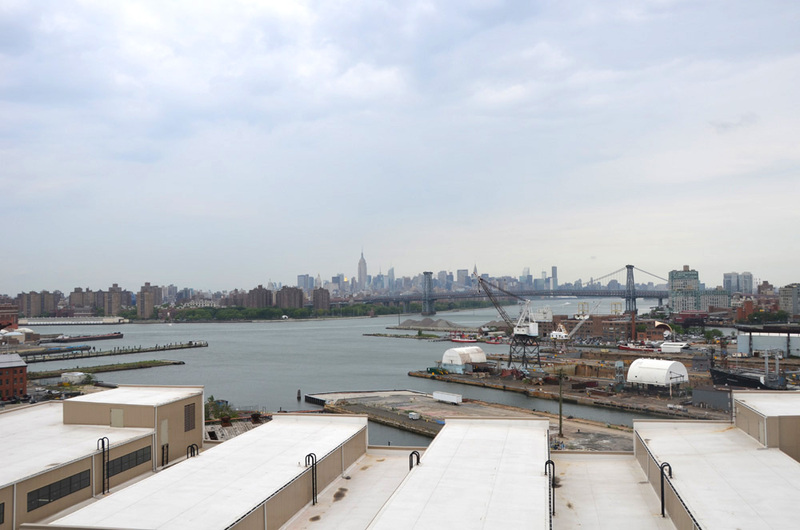 Downes Forest Products is proud to have taken part in several recognized living roof construction projects such as the Brooklyn Navy Yard and the Jacob Javits Center in New York City. 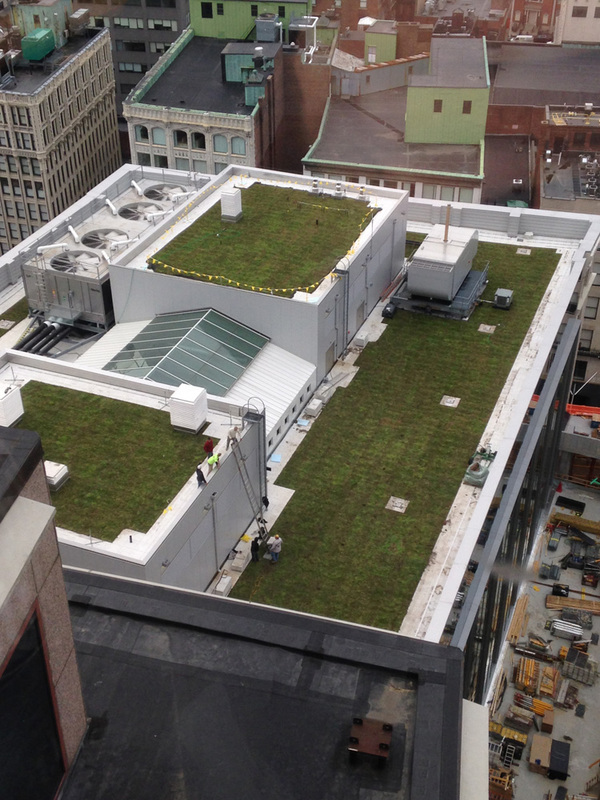 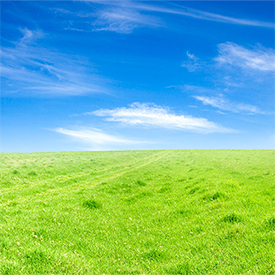 We invite you to browse our green roofing picture gallery. 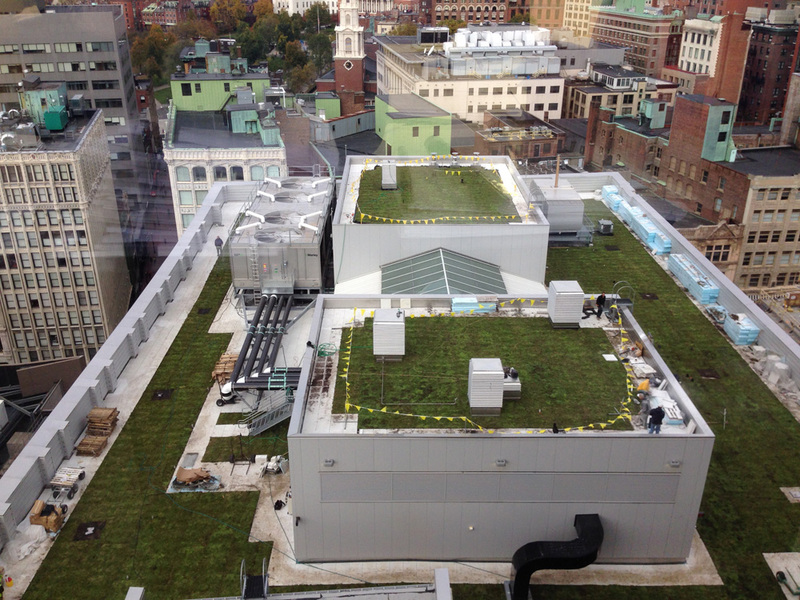 Green Rooftops capture water that would otherwise wash into local waterways causing harm to local marine life and surrounding habitat. 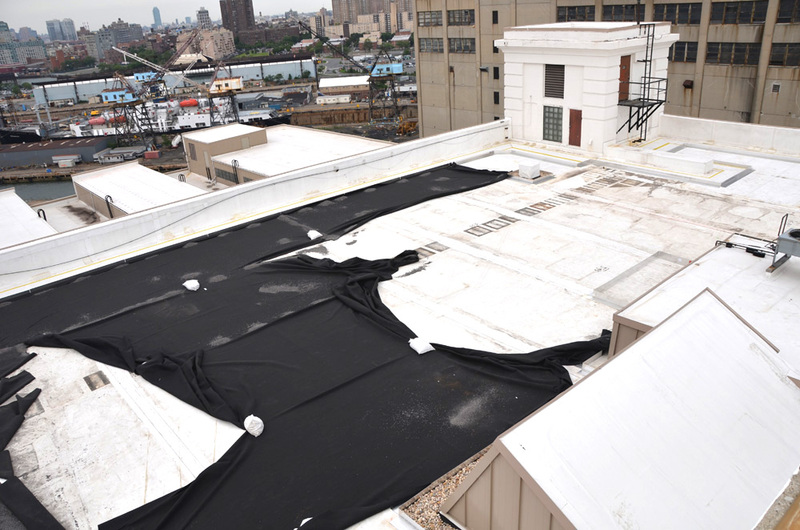 Storm-water runoff from large structures tax our municipal storm-water management systems and add to costs of storm flooding. 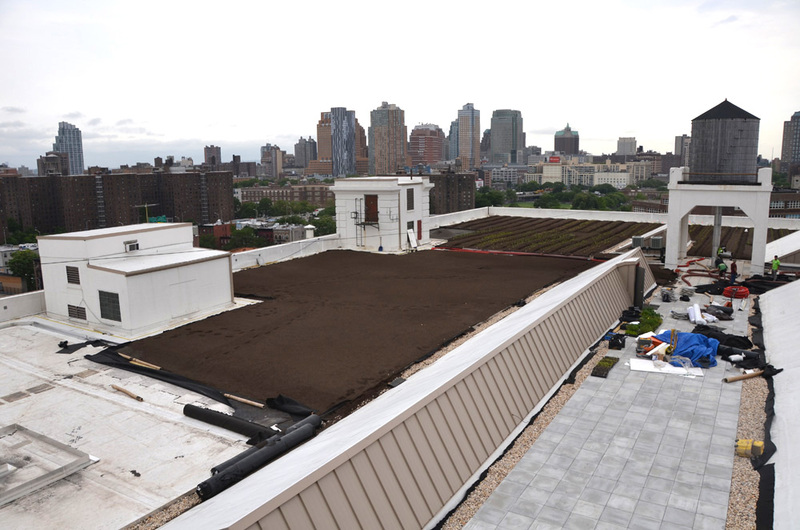 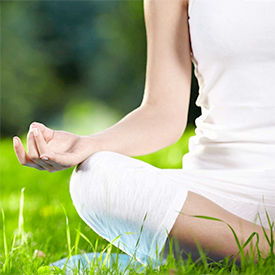 Green rooftops and Roof Gardens offer an excellent opportunity for recreation and out door activities where there would otherwise be a concrete structure.